What will you do if I send you a distress message, stating I am stuck somewhere and need money urgently? You are concerned for my safety and well being and might be ready to help me out. That is great, but this is exactly what many scamsters are after. They try to swindle money from unsuspecting friends after gaining access to people’s account through fraudulent means. Facebook is getting hacked again n again, many other social media platforms, even gmail were compromised at various stages. We may lose our phones or laptops which may fall in wrong hands. Having your account details is fairly useless to most scammers, unless they can use it to make some money. Thus once your account is hacked hackers would try various tricks to make some money- most common one is faking an emergency in your name and tricking your friends to transfer some money in the pretext of helping you out of emergency. 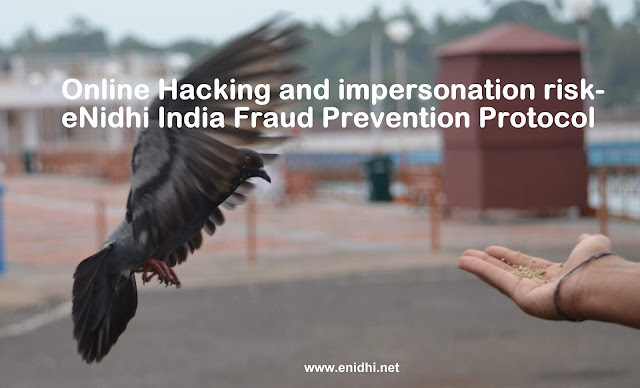 Thus, besides taking enough precautions to secure our online accounts, we should also have a protocol in place to ensure that we or our friends are not scammed by hackers impersonating us. In this post, I am detailing a set of steps that if followed, will help you figure out if it is really me asking for help or some scamster impersonating me. Please read and understand, put it to use if you ever get a message from me for money transfer. This will help you to be alert and not to transfer money to fraudsters. You receive a message from me (or someone impersonating me, using any of my online accounts), explaining that I am in some deep crisis and need urgent financial help. What to do? follow these 3 step protocol. Most of my trips are well planned, well researched and carefully executed. I never do anything illegal, comply with all applicable rules of the land, and take enough precautions to avoid trouble such as robbery. I should be able to handle most emergencies during my trips without external help. If I ever have to seek help, I would mostly reach out to family members, close relatives or very close friends. I will not ask my facebook friends for money. If you’re not a family member or close friend, it should be the first red flag if you suddenly receive a request for money. Do not believe anyone who says it is me and asks for money. Please take following steps to verify the identity and story. Ask to speak to me- if I have internet access to ask you for money, I should be able to speak to you on whatsapp or facebook messenger. So insist on speaking to me- if the person is refusing, he/she is mostly a fraud. Ask for a voice file or a video of mine alternatively. Ask some information that is not available online or in our previous chats or email conversations and only two of us would know. Like when did we meet or talk last etc. Only I will be able to answer this question- someone impersonating me would refuse to answer or will give wrong answer. If we've never met and you can't think of anything to ask, just ignore the complete request. I have enough friends n family whom I have met and would help me, so I would never be messaging you for money. Cross check the story-if you’re close enough to me that I would approach you for financial help, you would have some idea on where I am going, what I am doing etc. Check if the reason for asking money makes sense and if the story is right- for example, if I am stuck at customs mostly I will either face a fine that I can handle from the cash with me or jail/deportation. Customs or police or other authorities will NOT msg online friends asking for cash to release me, that too without allowing me to speak. Try to connect with me on other platforms- may be only facebook is compromised- I might have access to twitter n gmail- this way you can be sure. Check with mutual friends/family members if I have approached them for help. I will never approach dozens of people for help- only a select few. If lots of people, who may not be that close to me are also receiving request for money, it is almost certainly a scam. If I ever need money, it usually won’t be a life and death situation that you’ve to transfer instantly. You can take some time- say a few hours-during which you can do your background checks. Any unusual sense of urgency inserted by the other person should raise red flag. If it is a 3rd person (who may say he has taken me to a hospital n needs money) ask their name and identity- possibly any ID card that should match with the account details he/she is giving. Be aware that most scamsters will try to prevent you from doing above verification by telling it is urgent. It is alright to take some time. Don’t feel pressurized. If they claim a medical emergency you should be able to call the hospital and confirm if I am admitted there. Check the location of recipient/bank account etc. For example, if I am stuck in Australia, the recipient account/location should also be in Australia. If destination account is somewhere else- say in Nigeria or Bangladesh, it is almost certain to be a fraudster. If you conclude that it is indeed me or decide to help anyway by transferring money, don’t transfer entire amount asked by the the other person (me or the fraudster). Transfer a smaller amount first- like say INR 1000 or 2000- which is enough to get some emergency food, buy a sim card/cheap phone or make a phone call to you to confirm my identity. Only after confirming my voice/identity you may transfer some more. Under no circumstances I would need lakhs of rupees. Never transfer such huge amounts. At the max the amount should be just adequate to support me for a few days and buy a flight ticket and return home. An equivalent of 50000-60000 INR is more than enough to return to India from most parts of the world. All my trips would have pre-paid return tickets and trips are very short ones, so I won’t have any need to buy a new ticket in most circumstances. Someone from my family will be able to confirm on this-so if at all I need money it would be very very less- say just about 10000-15000 for a few days stay, food and such emergency expenses till my return flight. Never transfer lakhs of rupees irrespective of how genuine the case sounds. I will not be responsible to compensate for any of your loss if you transfer money online to someone else or fall pray to scammers impersonating me. Summary: If you ever get a request for money from me, begin with assumption that it is not me and it is a possible fraud. Work your way upwards to confirm that it is indeed me and offer help only after fully satisfying that the request is genuine. Closing remarks: Scammers often try to hit your emotional chord, faking emergencies and inducing some sense of urgency so that your thinking is clouded and you’d act fast. Do not believe everything told to you online. Trick is not to succumb to such tactics, think again with a cool mind, take some time to cross check the facts, story and act only if you’re fully convinced that the need for help is genuine. Security breaches are very real threat these days despite best of the efforts, thus a layer of human intelligence is always required to protect ourselves from fraudsters. Another crucial aspect is NOT to put up everything online. Information is power and too much information in wrong hands is easy trouble. Thus keep an eye on what you post online- how sensitive it is, how one can misuse that information or how much it gives away your personal information. As a policy I never post family and work related updates on facebook. I am perfectly OK with fewer updates, fewer likes and shares. It is better to be safe than sorry. There’re few other protocols I follow very seriously online. If you see a deviation, it is mostly not me. I will never make any private conversations public, nor reveal information that compromises someone else’s privacy, personal info or intellectual property rights. I will never trouble anyone online. If I have initiated a conversation but I never get a reply, I take it as a lack of interest and back off. Conversations continue if and only if other person responds positively. I am not looking to sell anything online. I will not ask you to buy stuff from me, or promote me or do anything against your wishes or comfort for financial/non-financial gains. I will not promote/share things I don’t feel like. Most unsolicited requests asking for like, share etc are often ignored. Similarly I don’t expect my friends to do anything they don’t like or not comfortable with. I am not even sending links to my friends to like my page or posts etc. I don’t tag people unnecessarily for the sake of publicity (except tagging few relevant people in comments section if necessary/relevant) All reactions are purely voluntary and not solicited or paid. If you see any violations please check with me independently through some other medium before reaching to conclusions or making a judgment. It's interesting to know many preventive measures about online impersonation and fraud.